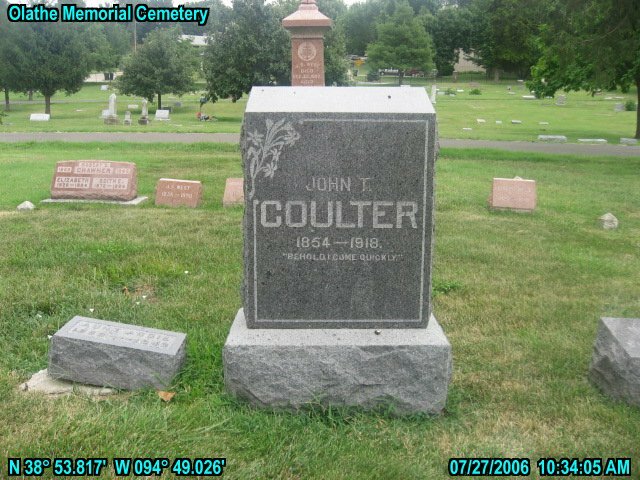 J. T. Coulter, unmarried, 65 years old, was found dead yesterday in his motor car at a roadside near his home, six miles east of Olathe. His sister, who lived with him, said he had driven out of yard fifteen minutes earlier. The coroner pronounced heart disease the cause of death. Please share your memories of John T..